Real Time Integration, Inc. announced today the NetAcquire Java Toolkit that allows Java applets to acquire, process, and update real-time analog and digital data over an Ethernet network. Java applets use the NetAcquire Java Toolkit and a TCP/IP network to communicate with NetAcquire server hardware containing analog-to-digital conversion hardware. 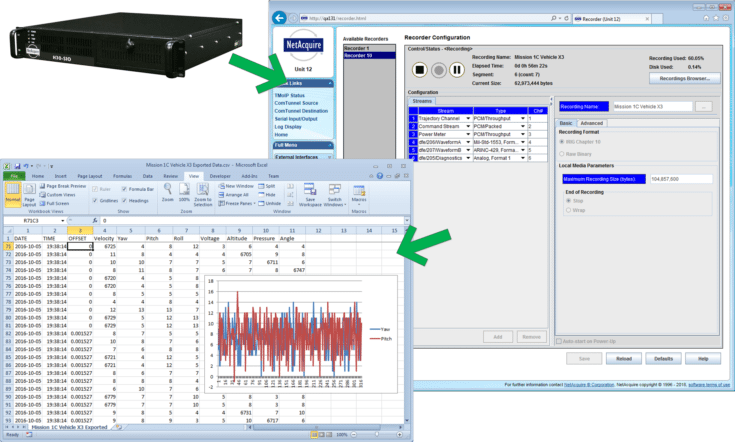 NetAcquire is an intelligent data acquisition system that makes analog and digital data available over an Ethernet network. NetAcquire extends the cross-platform architecture of Java “write-once, run everywhere” systems by adding hardware input/output capabilities. Java is a hardware-independent environment, and the only way to interface to the real world is using network-based peripherals such as NetAcquire. “Using the RTI Java Toolkit dramatically reduced the development time of our satellite test system—nothing else offered a cross-platform user interface to real-world signals,” reports Thomas Leisgang, project manager at Space Systems/Loral. The NetAcquire Java Toolkit is an ideal component for building enterprise-wide distributed test and measurement systems, as well as Internet-compatible systems that allow remote data acquisition and control from anywhere in the world. In conjunction with Netscape 3.0, applets run on sixteen possible operating system and computer combinations. Both standalone Java applications and browser-enabled Java applets can connect to NetAcquire hardware to obtain a real-world interface to analog and digital data. The NetAcquire client/server model allows time-critical sampling and control code to run on the server side. The NetAcquire server hardware is optimized as a real-time platform with an onboard 486 processor running a true real-time operating system. Server-side data processing avoids running time-critical code on the Java interpreter, allowing efficient workload partitioning of real-time applications. NetAcquire further leverages this speed advantage by using an optimized high-speed TCP/IP protocol between the client and the server. The NetAcquire Java Toolkit contains a package of Java classes that provides stream-based communications with one or more NetAcquire servers. These classes handle all the low-level details of network input/output, flow control, and error handling. Complete distributed NetAcquire applications can be created with fewer than 50 lines of Java code. The Java Toolkit also provides sample applications and applets including real-time data charting. The Java byte-code files for completed applets can be uploaded to the NetAcquire integrated Web server, making applets immediately available across the enterprise. Access control is also available using configurable password protection. The NetAcquire Java Toolkit supports Netscape 3.0, Internet Explorer 3.0, and Sun Microsystems JDK 1.0.2.